A leaflet holder that is ideal for school reception areas to hold school information, brochures and forms. This literature stand has an aluminium frame finished in anodised silver. 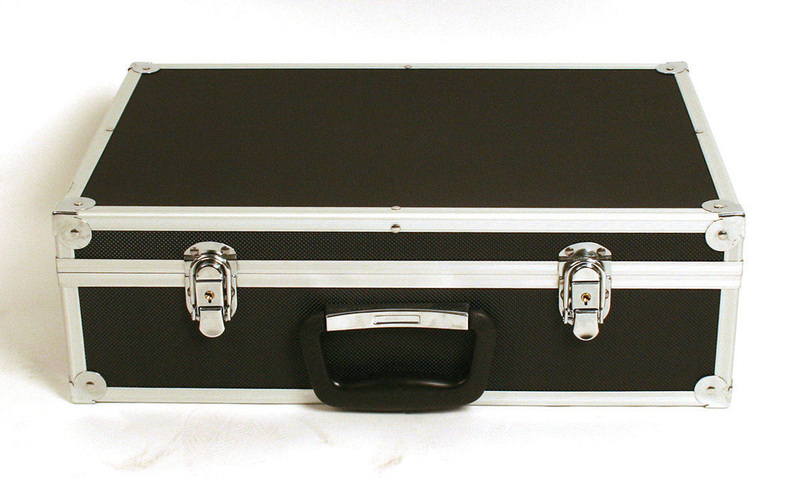 It folds down easily to be stored or transported in the carry case provided. 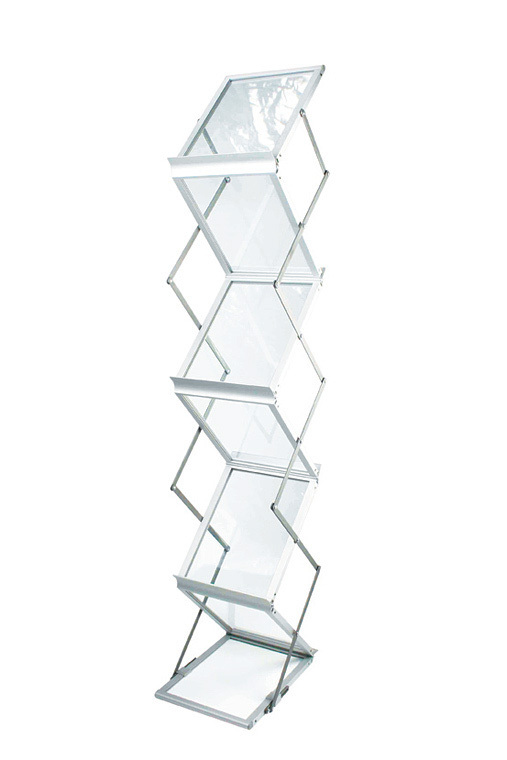 Double sided, this brochure rack has six A4 acrylic shelves (three each side). Each acrylic tray section has a 23mm lip so there is plenty of room to hold school leaflets. It can also be used to display magazines, brochures and leaflets in school libraries and classrooms. See our range of leaflet holders. For more information please Contact Us or call us on 01733 511121.